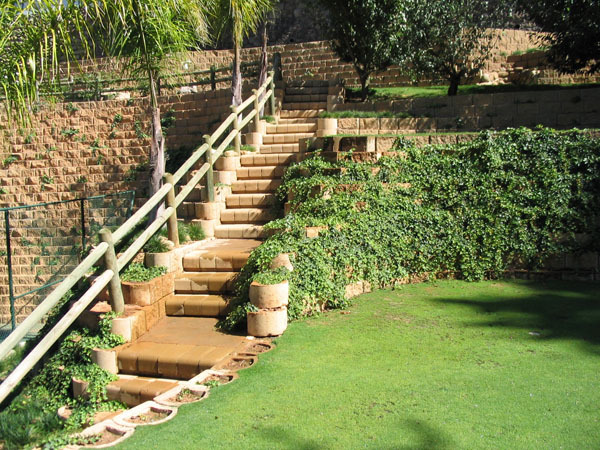 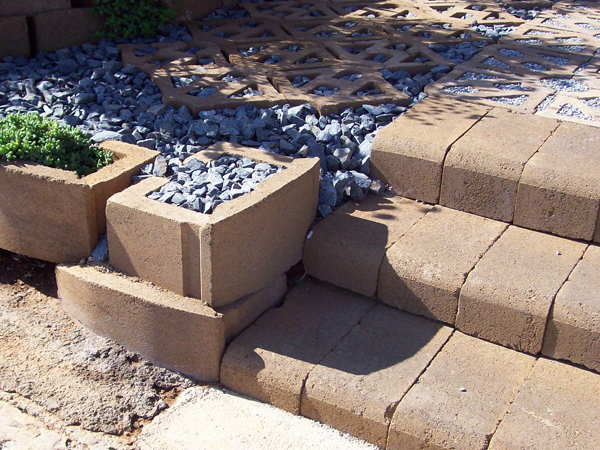 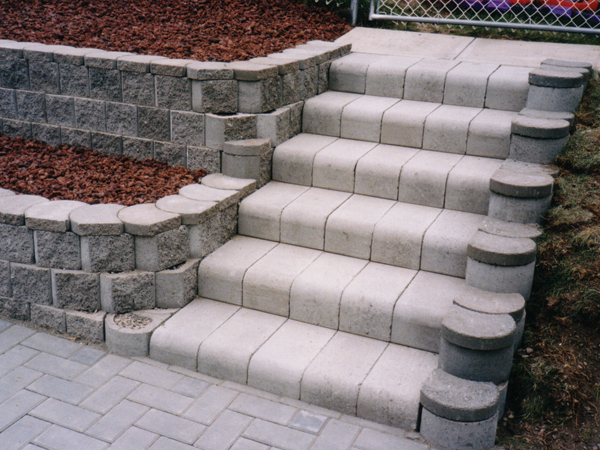 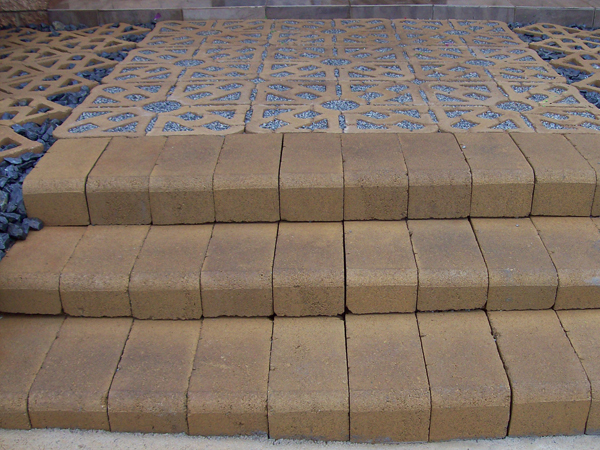 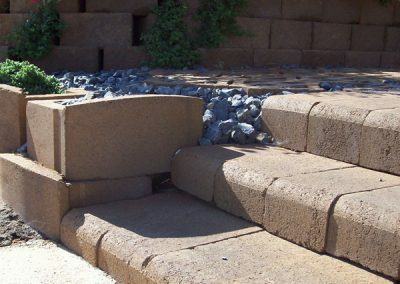 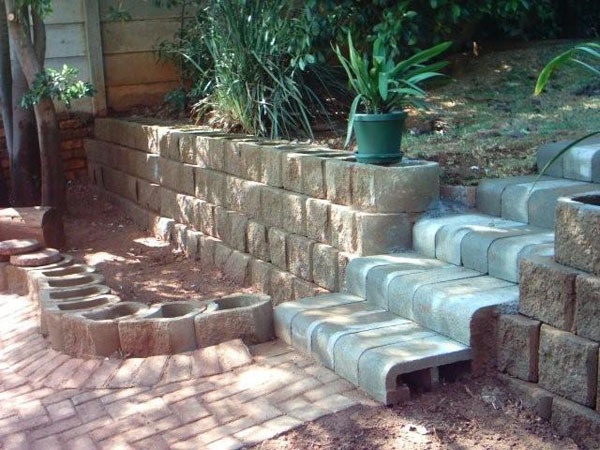 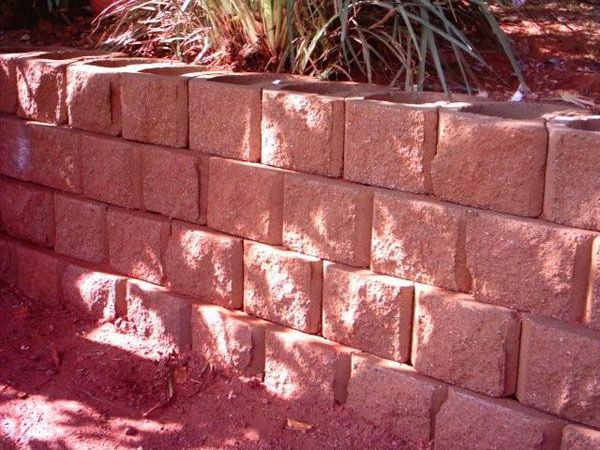 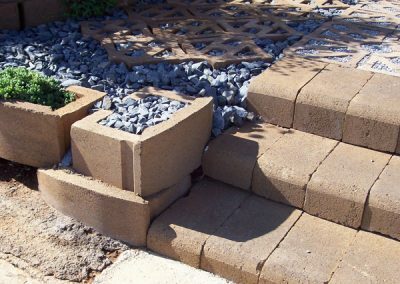 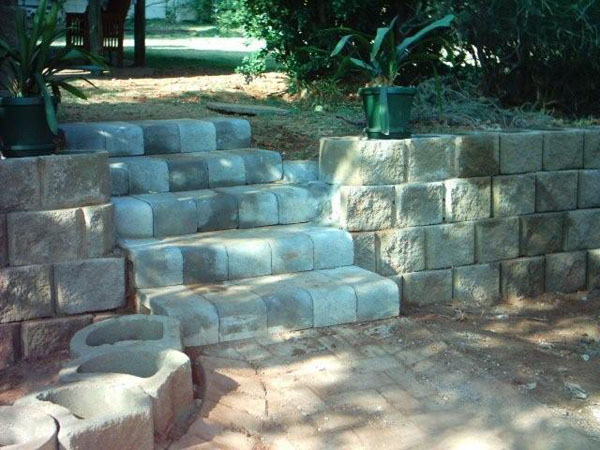 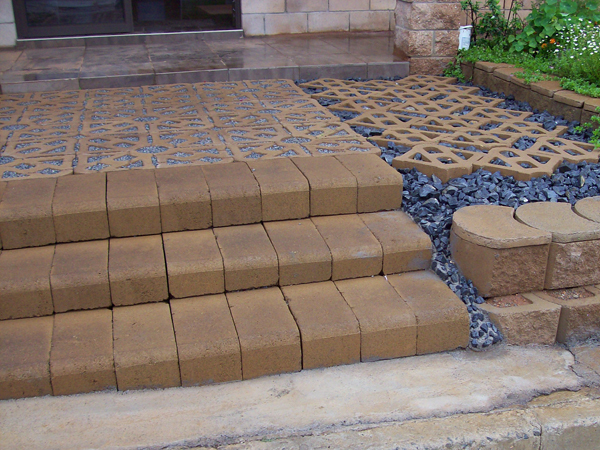 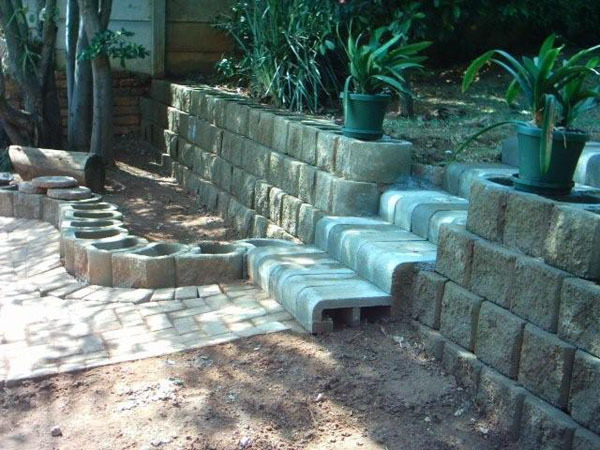 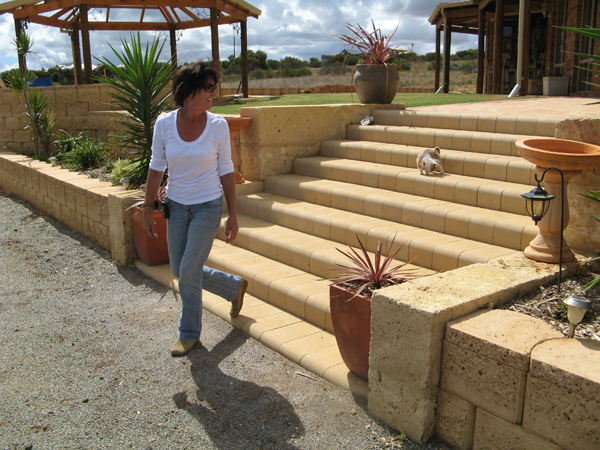 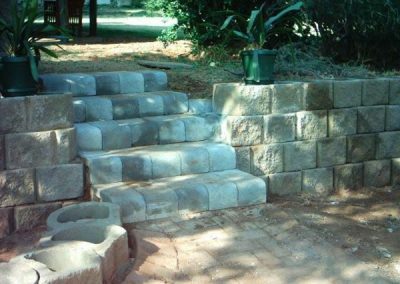 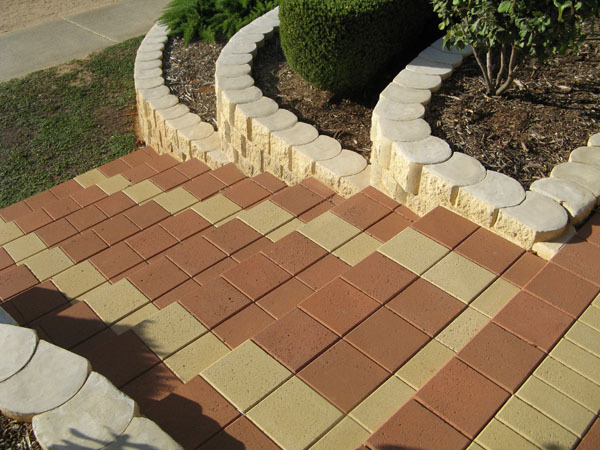 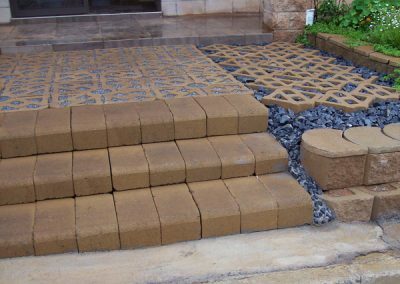 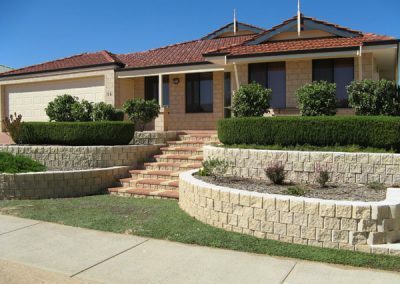 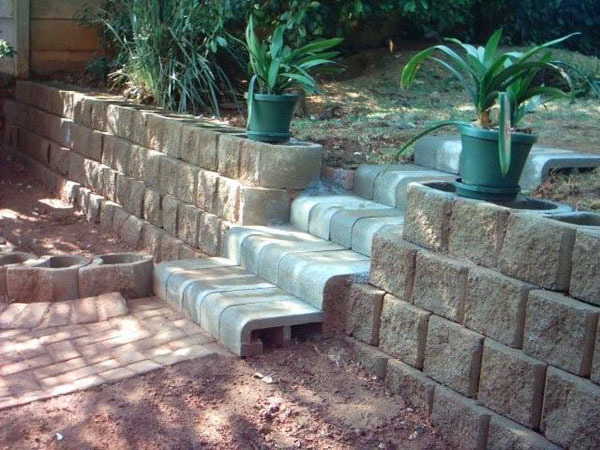 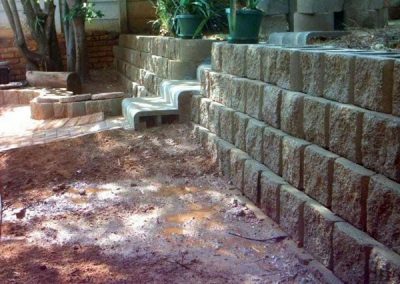 The Multi 4x4 is a step block that can be used for all formats of seating arrangements, but also provides stairway access in combination with Terraforce retaining walls.The unique design allows you to make plants part of your wall and the units are simply stacked up without mortar to provide a cost effective, do-it-yourself system. 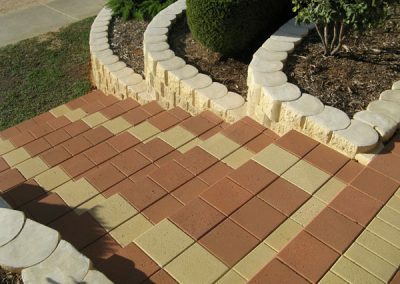 The corner interlock gently handles convex and concave curves, and the wall angle can vary from vertical to shallow slopes. 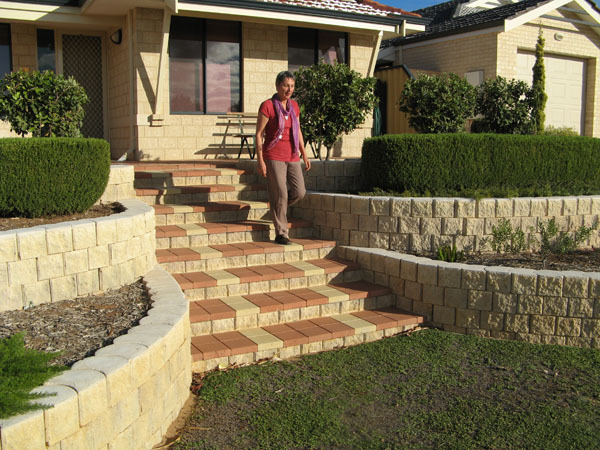 Create steps by turning the block on its side and rotate for four different elevation choices. 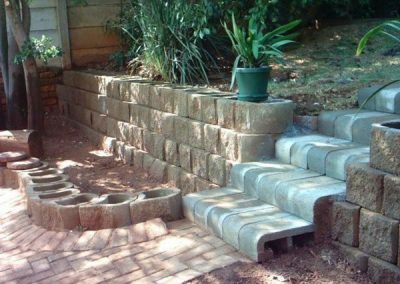 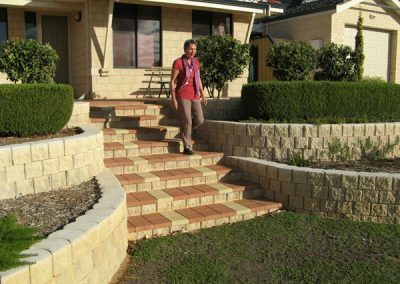 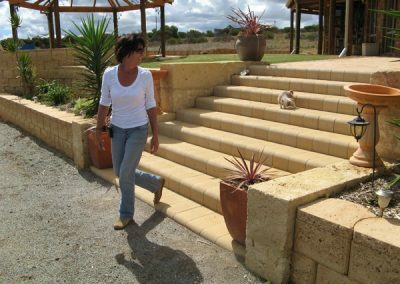 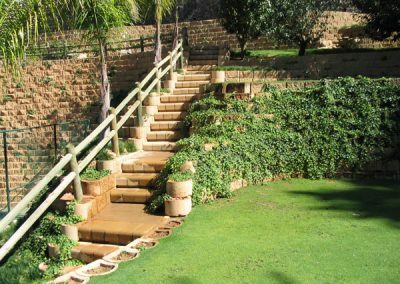 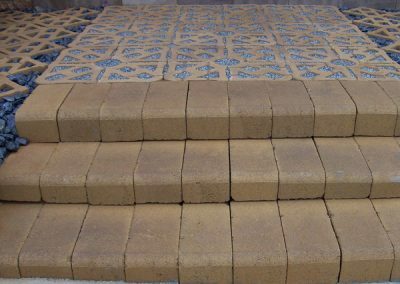 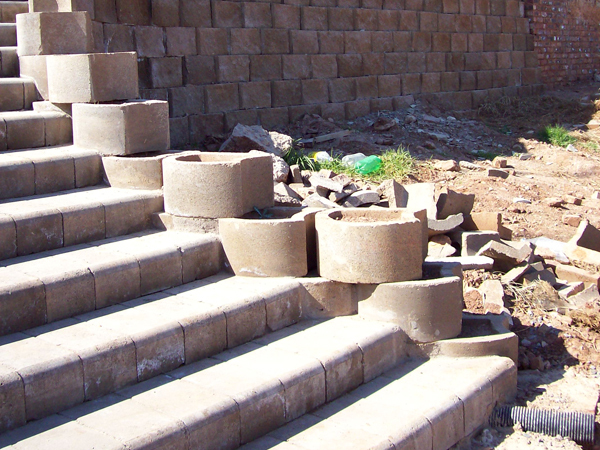 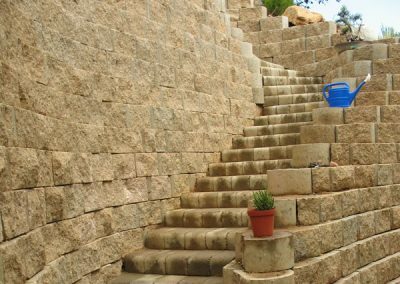 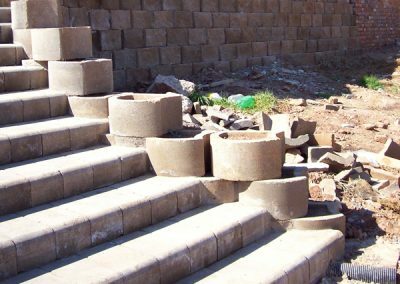 Fifteen years ago the 4x4 Multi Step block was developed, a light, dry-stack concrete unit, generally used for constructing low terrace walls, stairs and seating arrangements. 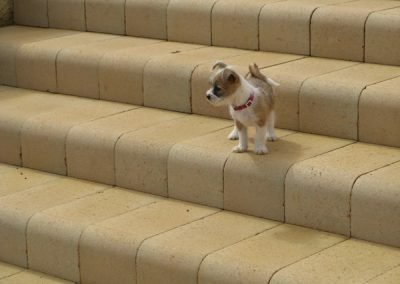 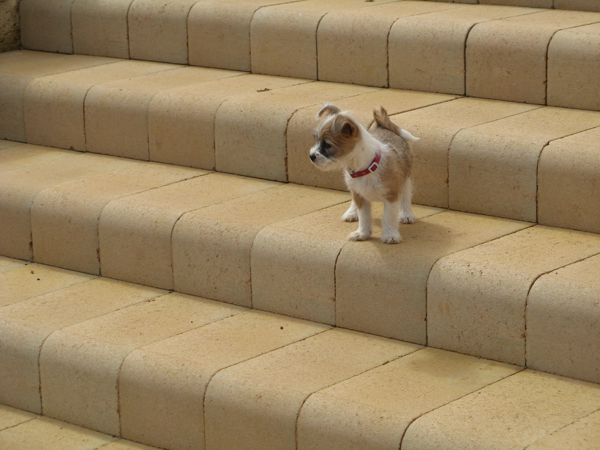 Aimed at providing efficient and economical steps in conjunction with the original retaining blocks designed, they soon became very popular not only for stairway access but to provide comfortable, practical stairs & seating arrangements at leisure amenities & school sport facilities. 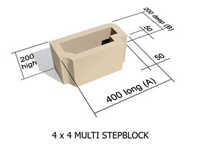 The block was designed specifically with such versatility in mind: When used for retaining, the 4x4 Multi Step block has a unique design that allows you to simply stack up the units without mortar, and the corner interlock gently handles convex and concave curves. 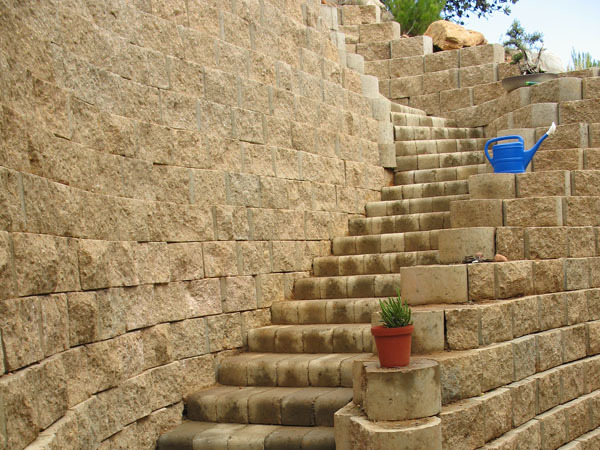 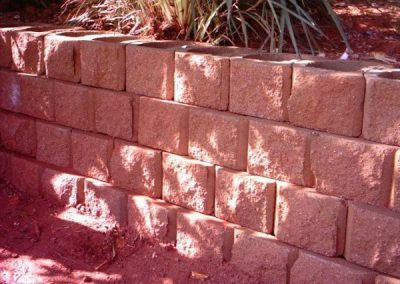 The wall angle can vary from vertical to shallow slopes, and steps can be created by turning the block on its side. 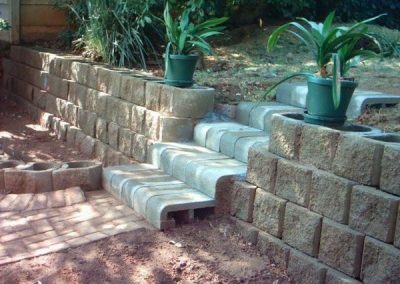 It can also be rotated for four different elevation choices, and the design allows you to make plants part of your wall. 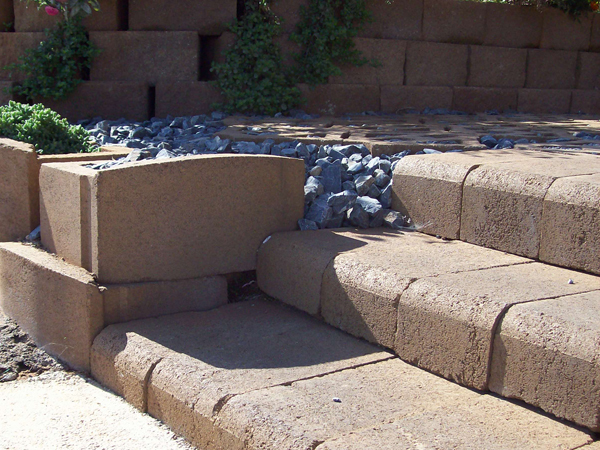 The 4x4 steps and seating blocks, in combination with the Terraforce L11 is effective in building stadium seating.